I am not entirely sure if this is the right community to ask this question, but I'll ask it anyway. 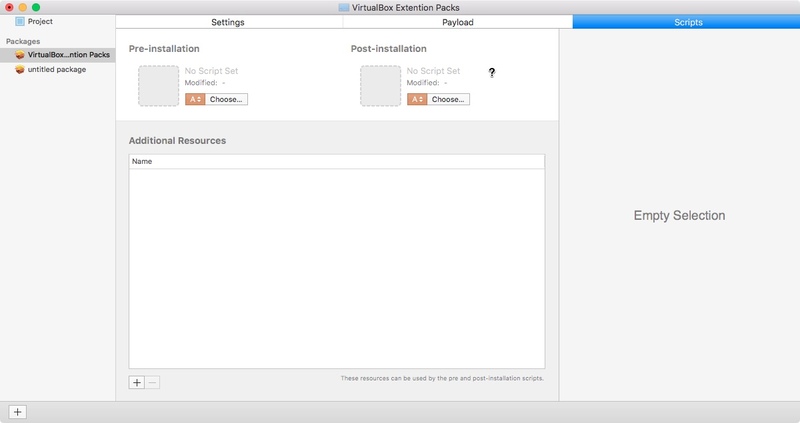 I am currently using the packages app to hold a bunch of extensions for VirtualBox and choose which ones you want to install into VirtualBox. 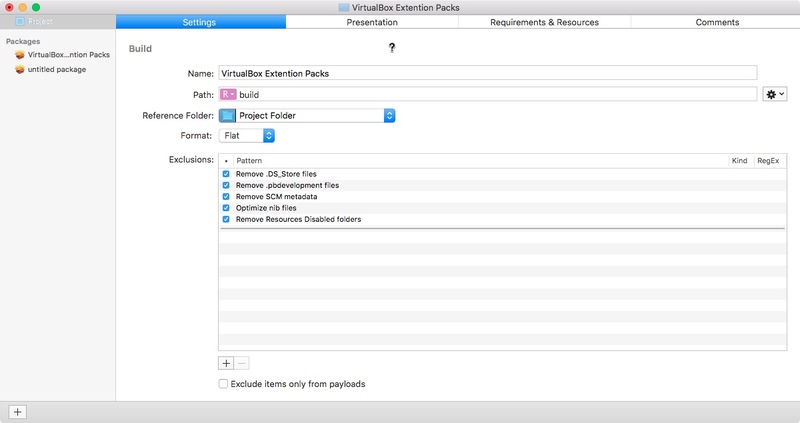 The thing is I can't find a way to link this package installation destination to the VirtualBox ExtentionPacks folder, which is under another folder in the app. Just keep in mind these are not Frameworks, dylibs or applications, these are folders/.vbox-extpack files. 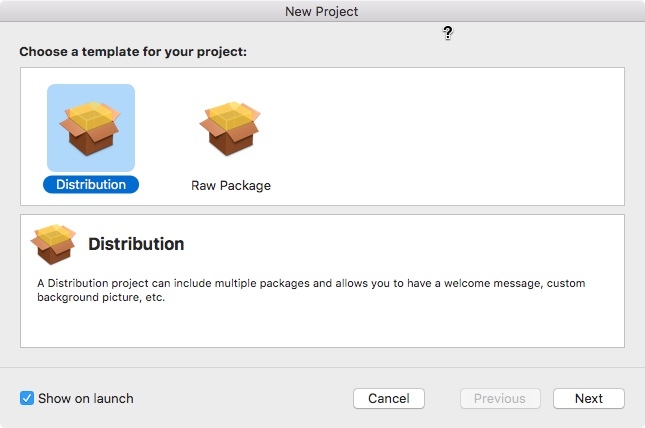 The extension pack folder is only accessible using the in app extention installer or by right clicking on the app and selecting 'Show Package Contents'. If you know how to do this, please tell me! Edit: Some images and a link to the application if you want to download and see for yourself. ^Main Launch Page. I chose 'distribution package'. ^This is the project page. This is where you choose where the files come from and the name of the package. 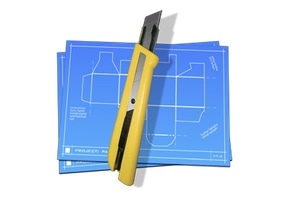 ^This is where you choose to install the files. This is where I'm currently stuck. ^There is this 'Scripts' tab. Maybe this could help? 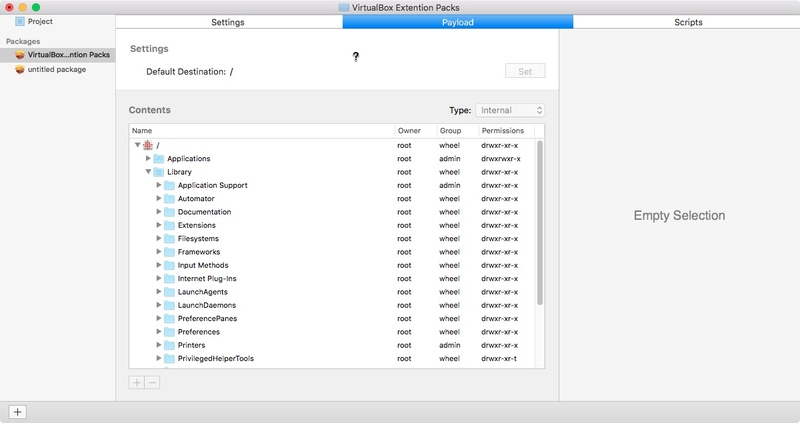 Browse other questions tagged high-sierra virtualbox pkg .